Thousands of Catholic women have signed an open letter to Pope Francis, demanding he speak out immediately regarding the allegations of sexual abuse at the hands of former Cardinal Theodore McCarrick. As of this article’s publishing, the petition had more than 19,000 signatures. “Women are able to pose questions that we men are not able to understand,” he said in January 2015. Now these thousands of women are calling on Francis to act on his words by taking a clear stand against the sexual abuse of boys, girls, women, and men. 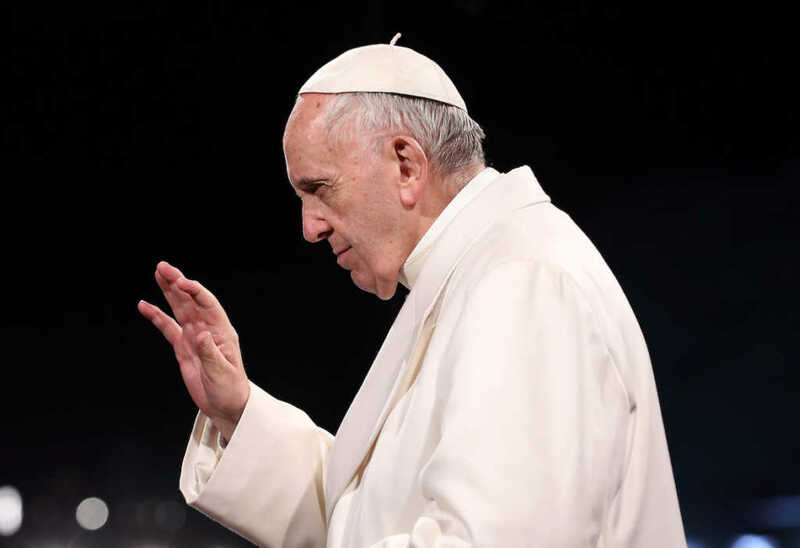 “We write to you, Holy Father, to pose questions that need answers,” the letter states, specifically asking the pontiff to speak out on the allegations leveled in Archbishop Carlo Maria Viganò’s testimony. Last week, Viganò published a 7,000-word essay, in which he accused Francis of covering up allegations against McCarrick, claiming the leader of the Catholic Church has been aware of the disgraced cardinal’s alleged behavior since 2013. The pope was asked over the weekend if he knew about McCarrick, as Viganò alleges, but rather than deny — or confirm — the claim, he simply refused to answer. To your hurting flock, Pope Francis, your words are inadequate. They sting, reminiscent of the clericalism you so recently condemned. We need leadership, truth, and transparency. We, your flock, deserve your answers now. Please do not turn from us. You’ve committed yourself to changing clerical ways in the Church. That a cardinal would prey on seminarians is abhorrent. We need to know we can trust you to be honest with us about what happened. The victims who have suffered so greatly need to know they can trust you.